Circling the parking lot are no less than 5 trail heads networking for some 26 miles of singletrack trail throughout the canyon ranging from mild to wild in technicial ability,dirt,rocks,river rock,sand,wash-outs,switchbacks,dropoffs and climbs with alternative trail accesess throughout the canyon,the trails are well maintained,people are friendly the times i've been there (i drive out EVERY 3-4 weeks from Denver)someone was ready to ride with me.There rv an tent sites to be had an some of the best riding an scenery one could ask for.The sunsetting off the canyon walls make it worth the trip. Here's the # to Palo Duro 806-488-2227, see for yourself.....i'm going back in 12 days, hope to see ya there. A: Your DualSport can handle most of the trails. A true mountain bike would be more comfortable. Review: This is not your typical trail riding experience. There is something here for everyone from easy to advanced. The trails are accessible from the canyon floor and many parallel the road. On Day 1, I took the upper Comanche section down Juniper Cliffside and back up on Juniper River side. From there I took the Capital Trail back up. For the most part, those trails were relatively flat with some sporadic short punchy climbs. Day 2, I started on Lower Comanche which starts off with some short but fairly steep technical climbs. Had a blast going down Rock Garden which would make for a very tough climb going the other way. From there I took the obligatory ride on Lighthouse trail and while the trail is nothing extraordinary in itself it is worth the ride - and then the hike - up to the Lighthouse formation as the views are breathtaking. Heading back I took the GSL trail and did the couple of extra miles by adding Little Fox Canyon. GSL was the most enjoyable with fantastic scenery with some advanced features. Be sure to bring some water. A hydration pack would be best especially in the summer heat. 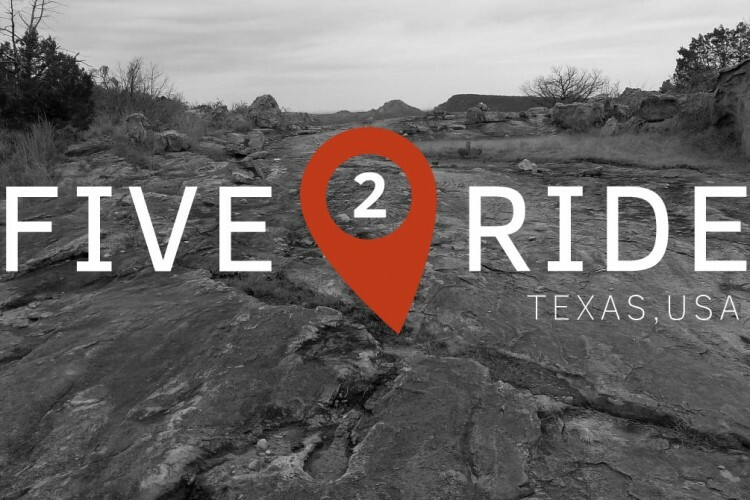 Review: Fun-riding trails in a fabulous area. Multiple trails take you into different areas of the park. Mostly easy to intermediate with notable technical sections thrown in. 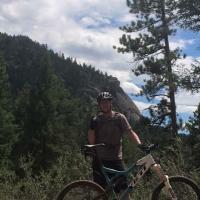 Review: Liking all the trail options in the Canyon!!!!! Review: I drove out there yesterday and left the parking lot about 12:45PM. It was right around 100* when I started and according to the lady at the entrance, it was 106* when I finished. WARM!!! Great variety! I took Comanche to GSL to Lighthouse and back. It was a ton of variety. Flowy and flat to short, somewhat difficult technical climbs with beautiful views. I will go back when it is cooler. 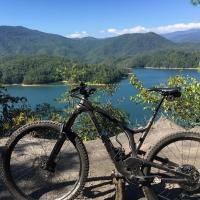 Review: Little bit of everything for everybody - if out of skill set - walk it for a bit - jump back on have pure singletrack bliss :) Be back when cooler to camp And ride???? 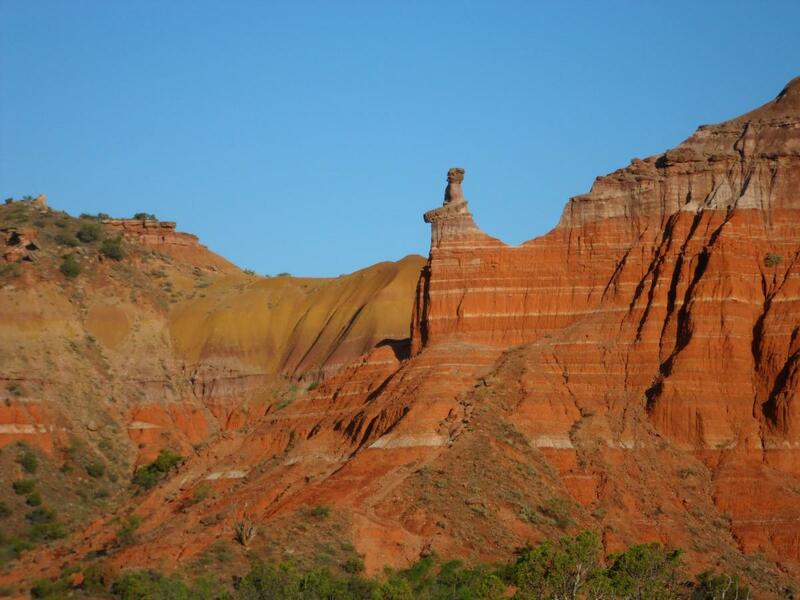 Review: I like Palo Duro. I like it so much I go twice a year, camp for a few days and ride every trail. It had great riding trails, great scenery, well maintained facilities and usually pretty peaceful (sometimes depends on who parks next to you). 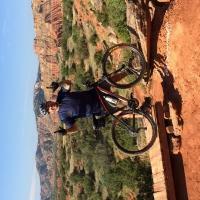 Palo Duro Canyon MTB Trail 4.73 out of 5 based on 50 ratings. 50 user reviews.